Samsung got a big win in the International Trade Commission today, as the ITC handed down a final ruling finding that several models of AT&T-compatible iPhones and iPads infringe a Samsung patent, and issued an exclusion order preventing them from being sold. This final ruling comes months after an ALJ determined that Apple did not infringe any of Samsung’s IP, but clearly, the commission felt differently upon its review. Burglars of the future beware: the age of the smart lock is coming. There’s no shortage of entries into the space these days — in fact, it was just under a week ago that we spotted the lovely Yves Behar-designed August lock. Goji’s (whoever heard of a company named after a fruit?) got a pretty nice looking lock of its own, one it’s hoping to bring to the market with help from a $120,000 Indiegogo goal. Like August, Goji’s got a sleek disk design. In the place of the green and red dots, however, you’ll find blue text that greets the user by name. The lock features bank-level encryption and will send pictures of people as they enter in through the door for added security. 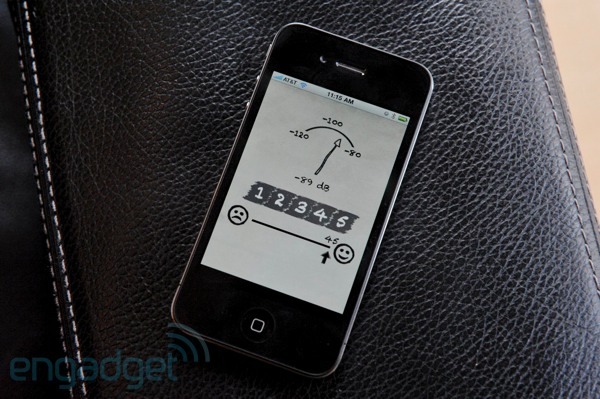 You can unlock it using your smartphone and can send people digital keys with your mobile device. Goji’s expected to hit around December for $278 — though you can get in a bit cheaper through the aforementioned crowdfunding campaign. While the rest of the world is clogging up the internet’s lanes sending cat GIFs to one another, there are those that need clear highways to be, you know, productive. To that end, a group of six research and education networks including Internet2 have demonstrated the first 100 Gbps link between North America and Europe reserved specifically for their intellectual agenda. It won’t be much use just yet, as the Advanced North Atlantic 100G Pilot project (ANA-100G) will be subject to a year of testing while “operational requirements” are looked at. The plan, though, is for the link to be used in the future by universities and research organizations for sending huge datasets, like those created by the LHC. One of the demos cut the time for a large transfer from Maastricht (Netherlands) to Chicago down from several hours over normal internet to just a few minutes over the private pipe. Head to the PR for more info on the project, and think of all that bandwidth you’ll never be able to use. Less than a week out from WWDC, Apple’s issuing the latest update to Mountain Lion. The company’s recommending the newest version of the operating system for security / stability reasons. For the most part, however, there doesn’t seem to be anything too big in here. OS X 10.8.4 looks to primarily address some bugs, including WiFi network compatibility, Calendar / Exchange usage, as well as fixes to FaceTime calling, Boot Camp and Safari. Also on the list are improvements to mobile account compatibility, iMessage display and Calendar Birthdays. Check the source link below for the full list of fixes. This entry was posted on June 4, 2013, 5:31 pm and is filed under Mobility. You can follow any responses to this entry through RSS 2.0. Both comments and pings are currently closed.